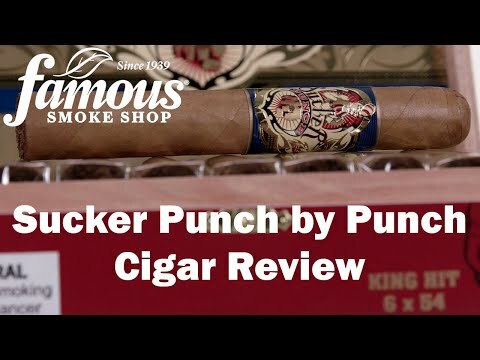 Sucker Punch cigars boast a full-flavored blend that hits you with a wallop of robust flavor when you least expect it. Seamlessly rolled in a silky Ecuadorian Connecticut wrapper that caps a Nicaraguan ligero core and a Cameroon binder, the smoke is well-balanced and complex enough to keep you guessing what's coming next. That's the beauty of Sucker Punch...they HURT SO GOOD! Exceedingly affordable, too. Add some to your cart now and enjoy this knockout of a cigar that'll-WACK!